Luxury hotel bungalow type. Gentle hills covered with pine forest cascades down to the sea, a large green area with lush southern vegetation, lawns and lawns, cozy secluded corners, immersed in flowering bushes. 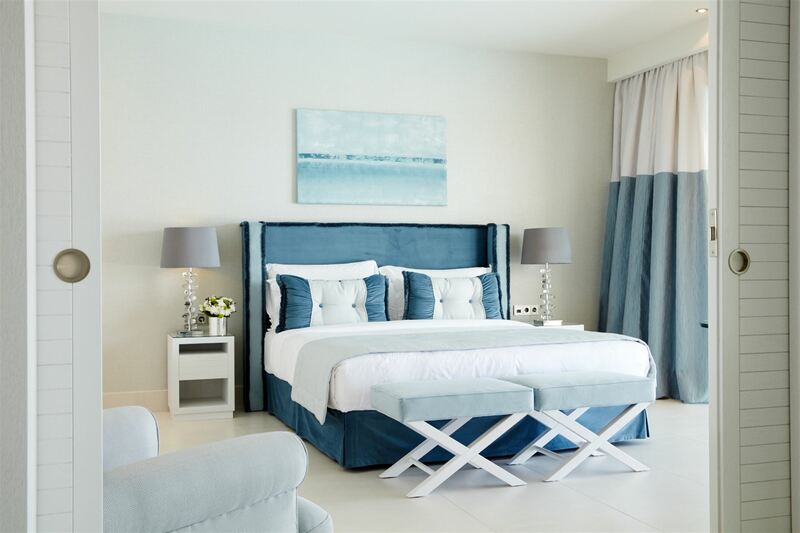 Comfortable rooms, modern design, Belgian furniture in white and blue, restaurants and bars, nurseries, kids club, club for teens, swimming pools, shops, sports, SPA center, entertainment programs, high-class service. The perfect choice for an exclusive family vacation. 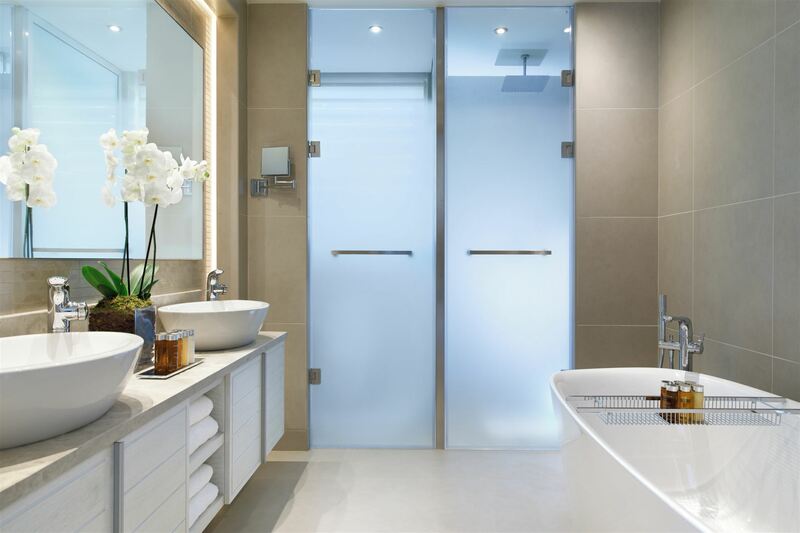 The Club Spa at the Sani Club Hotel * The state-of-the-art The Club Spa by Anne Semonin, Touches of the World offers a wide selection of relaxing facial and body treatments using natural ingredients. A unique world invites you to enjoy treatments from around the world: Thai massage, Shirodhara Indian massage, oriental reflexology, exfoliation with Mediterranean salts, as well as a large selection of procedures developed using French Anne Semonin cosmetics, including facials, scrubs, wraps and massages.8 luxurious treatment rooms, Suite for couples with a private hammam for superb enjoyment for two, Finnish sauna, Turkish hammam, Biosauna, Kupel, Heated loungers, Hydro-massage procedures, Manicure room, Procedures for teenagers (12-16 years). Opening hours: 08:00 to 20:00. The gym at the SANI CLUB is equipped with the latest equipment and pacemaker Technogym Selection. To visit the fitness rooms, you need a sports uniform and shoes. Children under 16 years old are not allowed in the SANI resort gyms. * Children under 16 years old are not allowed in the spa centers, gyms and saunas of the entire resort. Only guests over 12 years old can use the indoor pool. Guests under the age of 12 can use the indoor pool from 08:30 to 13:00 in April, May and October, as well as on days with adverse weather conditions. Bus for trips to Nea Moudania, Afitos - for an additional fee. Regular bus route from Nea Fokea - for an additional fee. Electric cars for guests and shuttle bass throughout the resort - for free. The complex has an Orthodox church. 24-hour medical care, a doctor in the Sani Marina harbor, a pharmacy in the harbor, a medical center in Nea Moudania (25 km). At the hotel, a sandy private beach (1 km long) marked by the EU Blue Flag. Sun beds and umbrellas, showers and changing rooms, beach towels - free of charge. Babywatch baby-sitting service on the beach. 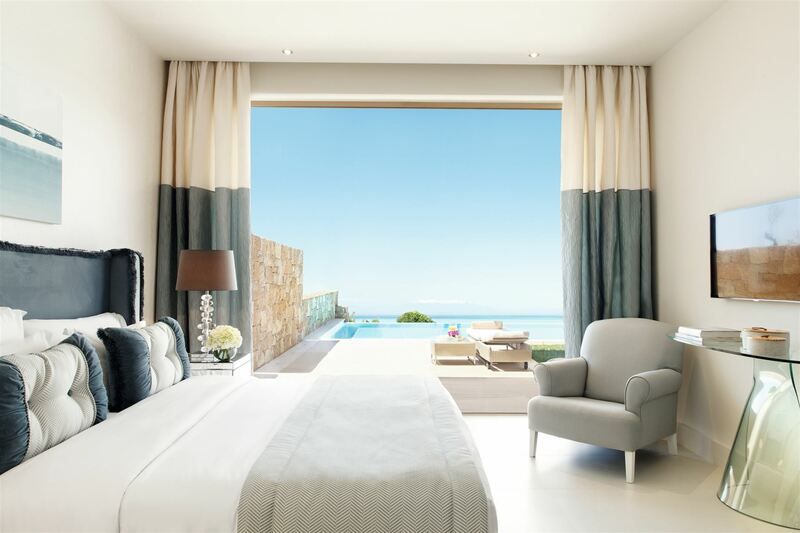 Beach Buddies hosts provide first-class service on the SANI beaches: help with choosing loungers, beach towel kiosks, lifeguards on the beach and by the pools. Kids menu in restaurants. If it is necessary to prepare individual food for children, contact the staff of the guest services department. Children's day nursery (from 4 months to 4 years old - for extra charge). Sterilizers, bottle warmer, baby bathtubs, bicycles, tricycles, strollers for rent, etc. 6 tennis courts (Canada Tenn coverage, all courts are illuminated) for a fee, a tennis club with prof. instructors. NEW 2019 - Rafa Nadal Tennis Center (extra charge) - The tennis center Rafa Nadal (Winner of 17 Grand Slam tournaments) - “The Rafa Nadal Tennis Center” opens at the territory of the modern sports center. This is a wonderful addition to the portfolio of sporting events, where coaches conduct professional lessons for groups and individually, both for beginners and for more experienced players. Our personalized tennis programs add a whole new element to your vacation, providing a unique opportunity to train, play and have fun together.Tennis tournaments are also organized. Daytime activities - Water aerobics, Darts, Stretch, Quizzes, Table Tennis, and many other games (the program changes weekly). Evening entertainment - Shows and musicals at the Garden Theater open-air stage. Beach parties on the beach Bousoulas and DJ parties in the Sea You bar (Sani Marina harbor) 19 bars located throughout the resort Sani Resort with musical ensembles performing Greek, jazz, Latin, ethnic and classical music Music Festival Sani Festival (July-August ); Sani Gourmet gastronomy festival (May). electronic in the room - for free. tea and coffee making facilities, Nespresso coffee machine. Free shuttles and club cars in the resort. Own helipad. 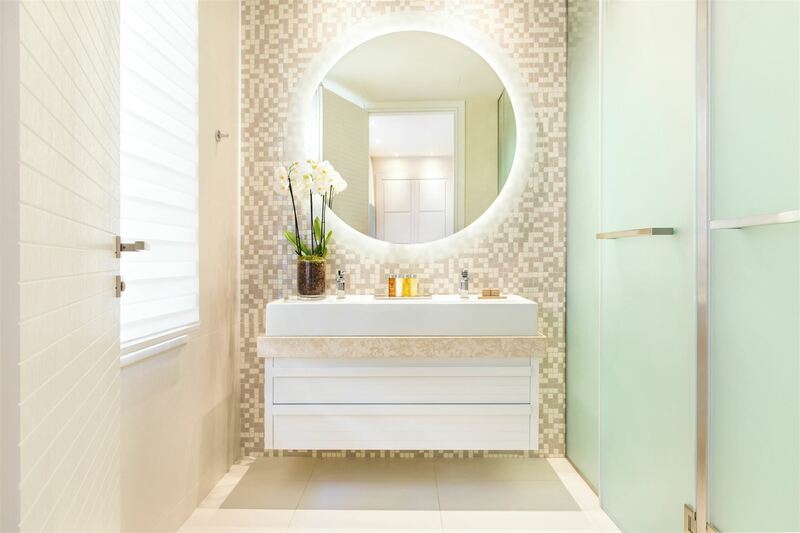 The hotel was completely renovated in 2009 by the designer house Flaman. 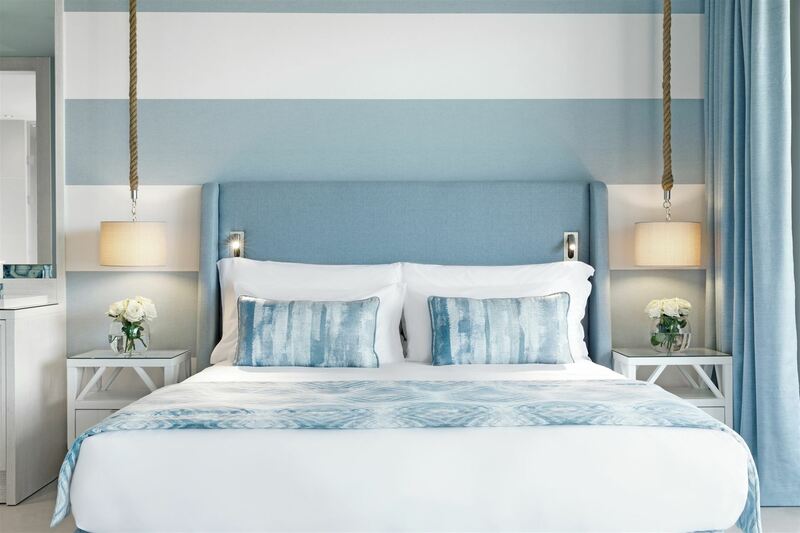 The last partial renovation of the hotel took place in the winter of 2013. In 2012, Sani Resort was awarded the Conde Nast Traveler Russia Award as the Best Foreign Family Hotel. Half board or full board: breakfast, lunch and dinner in the main restaurant - buffet. Diet cuisine and vegetarian dishes. Baby food. Dine Around program. * Advance reservation is required. ** Selection from ready-made menus at no additional charge or order from the a la carte menu with deduction of a fixed amount from the account *** A fixed amount is deducted from the bill. In the modern The Club Spa by Anne Semonin, Touches of the World offers a wide selection of relaxing facial and body treatments using natural ingredients. A unique world invites you to enjoy treatments from all over the world: Thai massage, Shirodhara Indian massage, oriental reflex therapy, Mediterranean Mediterranean exfoliation, as well as a large selection of procedures developed using French Anne Semonin cosmetics, including facials, scrubs , wraps and massages. 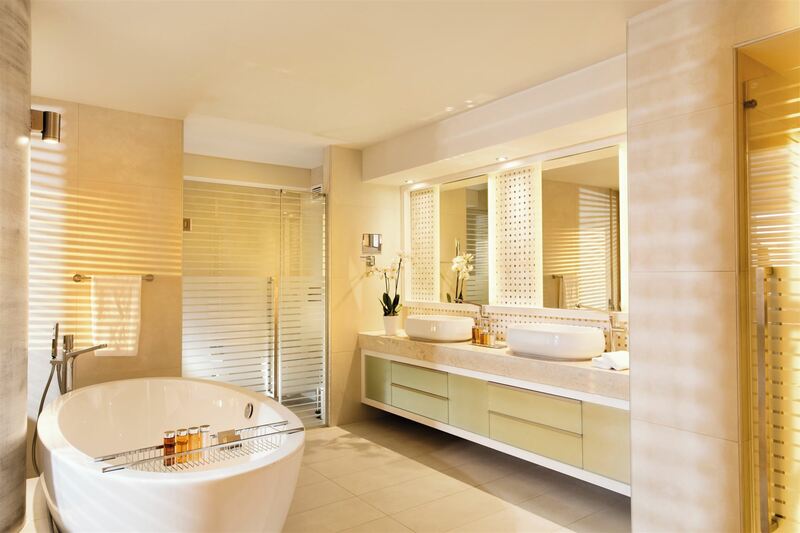 8 luxurious treatment rooms, a suite for couples with a private hammam for superb enjoyment for two, Finnish sauna,Turkish hammam, biosauna, kupel, Heated loungers, Hydro-massage procedures, manicure room, procedures for teenagers (12-16 years). The gym at the SANI CLUB is equipped with the latest equipment and pacemaker Technogym Selection. To visit the fitness rooms, you need a sports uniform and shoes. Children under 16 years old are not allowed in the SANI resort gyms. the Turkish hammam, Biosauna, the Font, the Warmed-up plank beds, Hydromassage procedures, the Manicure office, Procedures for teenagers (12-16 years). Training the hall SANI CLUB hotel it is equipped with the latest equipment and the cardiostimulating Technogym Selection exercise machines. Sportswear and footwear is necessary for visit of fitness studios. In gyms of the resort of SANI children aren't allowed 16 years are younger. 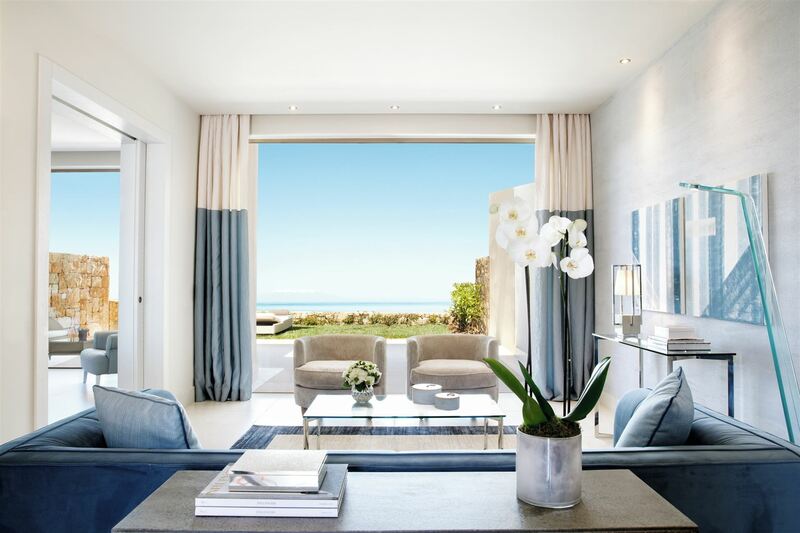 The SANI RESORT NEWS – 2019! SANI GOURMET: Travel to the world of gastronomy 2019. In May, 2019 in the territory of resort SANI RESORT the fourteenth year in a raw will be hold legendary gastronomic festival. The best chefs invited from all over the world in SANI RESORT to please guests with author's dishes of the ethnic cuisine. During 2016-18 guests of the resort tasted delicious dishes from best Michelin chefs. In 2019, Sani Resort will delight guests with a new interesting topic. More than 100 chefs from 43 countries, 53 Michelin stars, over 300 dinners, 11256 menus, 10,500 guests, 395 journalists from Greece, Russia, Ukraine, England, Cyprus, Germany, participated in the festival. Italy, Austria, France and America. SANI festivals are the only festivals in Europe organized by a private resort. New 2019! Tennis Center Rafa Nadal. On the territory of the modern sports center opens the tennis center of the world famous tennis player Rafa Nadal (the Winner of 17 Grand Slam tournaments) - “The Rafa Nadal Tennis Center”. This is a wonderful addition to the portfolio of sporting events, where coaches conduct professional lessons for groups and individually, both for beginners and for more experienced players. Our personalized tennis programs add a whole new element to your vacation, providing a unique opportunity to train, play and have fun together. Tennis games also will be organized. 8 clay tennis courts. The outdoor area for relaxation. Service period: April-October. Opening hours 08:00—22:00. Reservations: at the hotel’s reception, or through the mobile application and the Sani website. New 2019! Adventure Park Sani Beach - Adventure Park. In the new adventure park, get ready for an exciting journey and feel yourself a brave conqueror of heights. Routes with crossings are located between the trunks of trees, dizzying combinations of zip-lines and difficult to pass bridges between platforms in the trees. This is almost a real jungle, and the bravest guests, if they decide to climb trees, will be able to fully enjoy the surrounding nature. Hotel staff will be near you. They will show you how to use safety belts and braces, they will accompany you from beginning to end, and will even affably wave their hand when you go down to the ground, smiling rather that you did it. The park has specially developed six routes of different difficulty levels: two training, two family and two youth - all of them are marked with different colors. When planning the park, the most modern security systems were provided; for personal safety reasons, minimum height and maximum weight restrictions apply. Rope park can receive about 100 guests at a time, and the brave ones will come back here again and again. New 2019! New restaurant Club Lounge in Sani Club. This season, the Sani Club hotel opens a new restaurant - Club Lounge, where in a relaxed atmosphere, guests can enjoy delicious Mediterranean dishes or just watch the sunset in a beautiful setting. New 2019! Free ice cream. What could be better than ice cream? That's right - free ice cream! All guests will be able to get it in a wonderful new ice cream van. He will certainly bring happiness to guests of all ages: the new van with ice cream will move around the territory of the entire resort - so catch it when you see it and choose a horn with your favorite taste. New 2019! A new swimming pool with a water playground. Without exception, everyone loves to have fun, so this year there will be another entertainment place for younger guests, located next to the playground in Sani Beach. A new pool with a water playground is another one of the corners of the resort where you can have a great time with children, and the pool with ankle depth promises everyone a lot of fun! New 2019! New vegetarian dishes and dishes for kids. New enticing menus: for vegetarians and for children. They are designed by leading nutritionists and chefs and dishes from these menus can be found in all of our restaurants. Each menu will also feature a variety of tasty and healthy dishes without gluten and sugar. New 2019! DIGITAL DETOX. It's time to turn off the gadgets and go for fresh emotions. We devote to electronic devices - telephones, laptops, TV, PlayStation - a lot of time. Sani calls to postpone them and fully enjoy the opportunities offered by our wonderful nature. Go on a bike ride through the hills covered with pines. Hone the ball at the Sani Football Academy, which is supported by the Chelsea Football Club Foundation. Learn how to handle a sail at the Marina Sailing school or build a rolling robot from the Lego designer. Distract the kids from the virtual games, and you will be amazed at how quickly they will find entertainment in the real world. 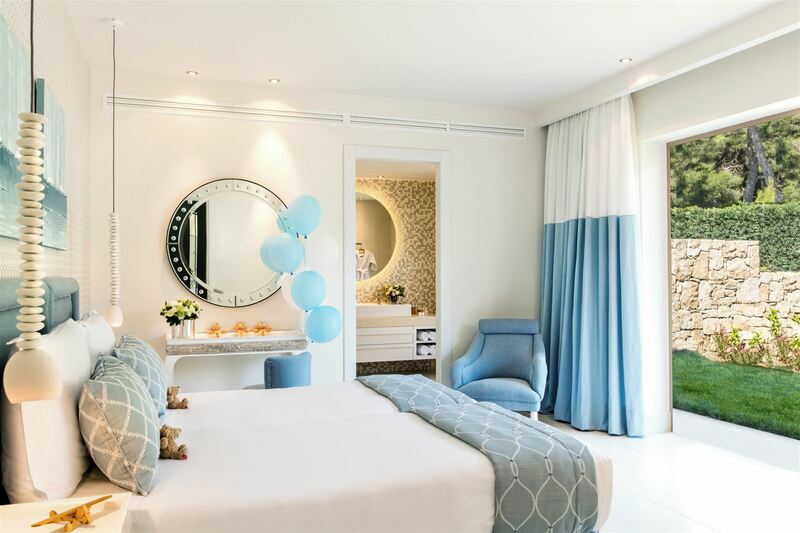 At the Sani resort, they will be able to make new friends and come up with the most exciting fun, learn a lot and spend more time with family. New 2019! SANI SUITE CLASS - A SANI SUITE COLLECTION. The best in guest service! 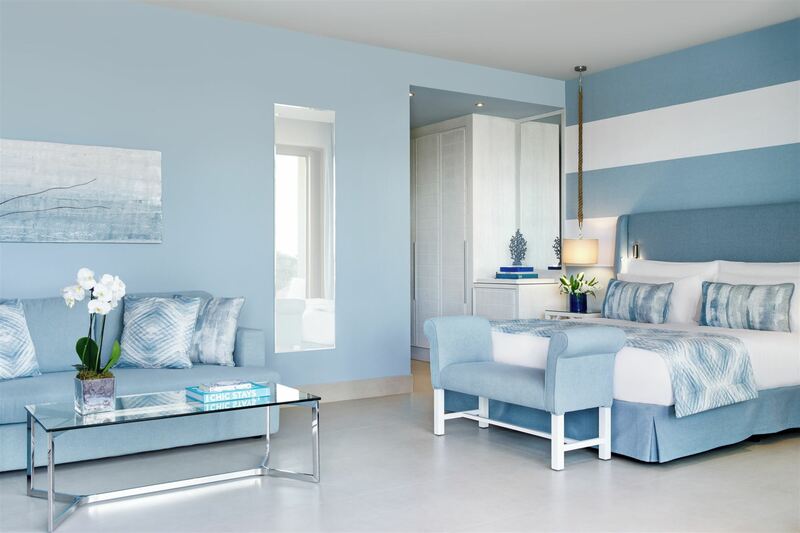 Sani Suite Class is a new service, thanks to which every moment of your holiday will be truly unforgettable. 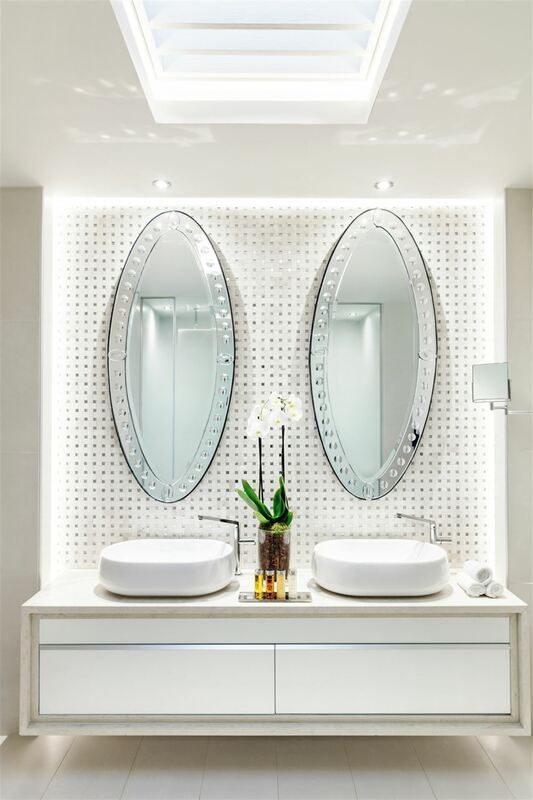 Services that you can use under the Sani Suite Collection program: Assistance 48 hours prior to arrival. Individual vacation planning: concierge service via What’s App for mobile phones, it will help you to reserve a table in a restaurant, use babysitting services or book individual excursions; quick check-in at the hotel; service for unpacking and packing baggage; free laundry service (available once a day / per room); an improved menu for ordering in the room, allowing guests to enjoy dishes from a variety of restaurants located in the Sani Marina harbor, in the privacy of their room *; free car ride, with a chauffeur (available once per stay per room); free tickets to Sani Festival (in July-August, one concert during the rest per room); counseling for children *; free early check-in / late check-out (upon request, subject to availability); daily pleasant surprises in the room; superior room service (premium champagne, pillow menu, exclusive Bulgari clothes hangers, branded beach bags, luxury toiletries from Anne Semonin; free delivery of gas (daily); an improved selection of towels); upon arrival - a gift for children (exclusive set for drawing); a gift upon departure from the hotel (a bottle of Sani Resort Grand Reserve wine in an exclusive wooden box); separate area on the beach. 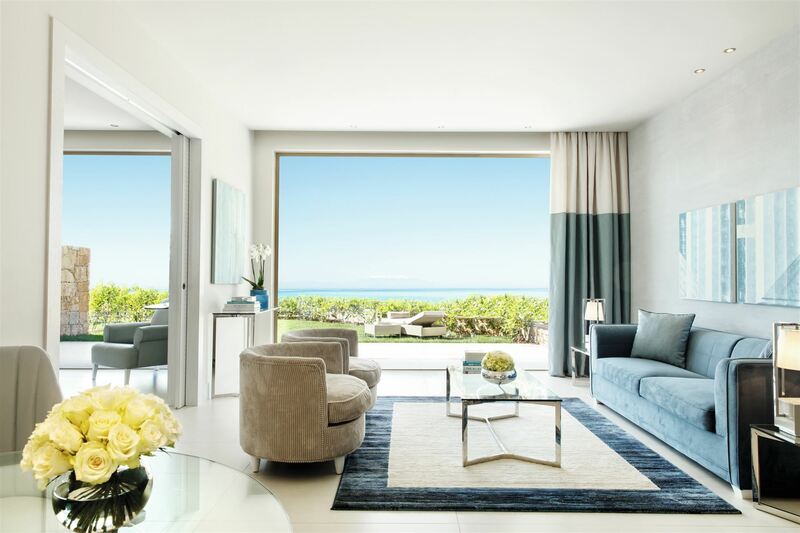 ** The Sani Suite Collection services are available to guests staying in one, two and three bedroom suites in all hotels of the Sani Resort, as well as in the deluxe rooms in Sani Dunes and all rooms in the Sani Asterias hotel. Gold card for repeat guests (for those guests who have visited Sani more than once) Guests with a gold card receive a bottle of wine in their room on the day of arrival. 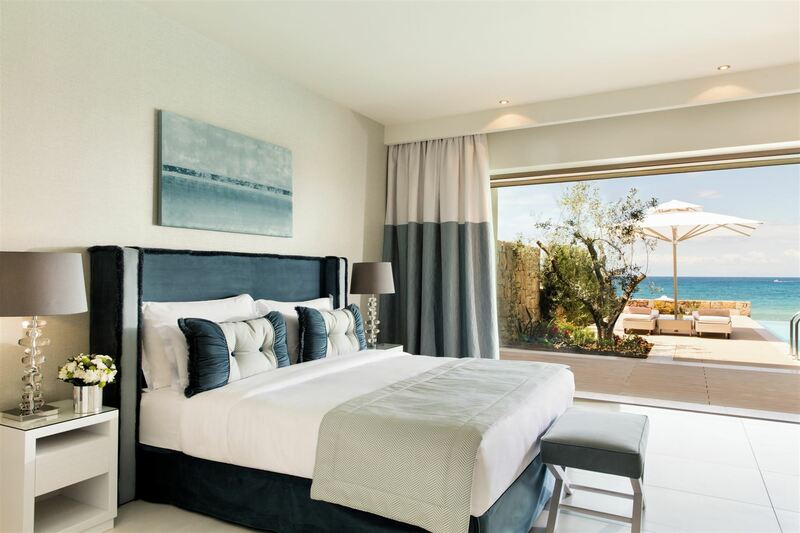 They also enjoy an exclusive 10% discount in almost all the restaurants and bars of the resort, as well as in almost all the bars and shops located in the harbor of Sani Marina. You must always carry with you a gold membership card, which is issued upon check-in at the hotel. Platinum card (for guests who visit the resort more than 10 times or the total number of nights spent in the company's hotels - more than 100). The owner of the platinum card is given a room category higher than it was booked (subject to availability), flowers and champagne in the room on the day of arrival. There is also an exclusive 10% discount in almost all the restaurants and bars of the resort, as well as in almost all the bars and restaurants located in the harbor of Sani Marina. Guests receive a discount per 15% in almost all store in the harbor of Sani Marina and two free tickets on the festival Sani Festival (Jul-Aug) and also free dinner for two person in one of the restaurants Sani resort (once for a season).Guests always necessary to have with itself a platinum card which they receive at check in in hotel. Gold card for repeated guests * free of charge a bottle of local wine in number in day of arrival, 10% a discount at most restaurants and bars in the harbor of Sani Marina, 10% a discount at most restaurants and bars in the area of the resort of Sani Resort, 10% an exclusive discount in most stores located in the harbor of Sani Marina. Platinum card (the above bonuses and additionally) * free tickets for Sani Festival (on the 2nd persons), one free dinner at one of restaurants of the resort Sani Resort (2 adults) with a bottle of the Land of Grace wine (white/red) which is exclusively produced for Sani by the known winemaker Evangelos Gerovasiliu. The free dinner is provided to owners of Platinum cards once in a year, number by category above (in the presence of available rooms), a champagne bottle in day of arrival is free of charge provided, 15% an exclusive discount in most shops in the harbor of Sani Marina. 253 rooms in total: Doubles Garden View (~40 sq.m. ), Double Ground Floor/Sea View (~40 sq.m. 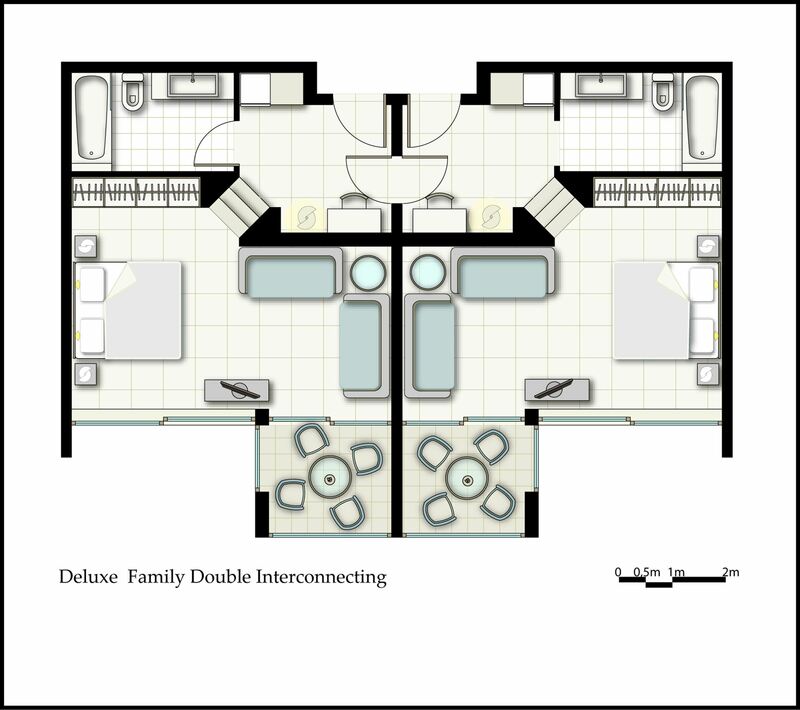 ), Deluxe Doubles Private Garden/GV (~40 sq.m. ), Deluxe Doubles Private Garden/Sea View (~40 sq.m. ), Family Suites Grand Balcony/SV (~80 sq.m. ), Junior Suites Grand Balcony/SV (~40 sq.m. ), Junior Suites private garden sea view (45 sq.m. ), One Βedroom Βungalow Suite Private Garden Pool Front (~55 кв.м), One Bedroom Bungalow Suite PP SV (~60 sq.m. 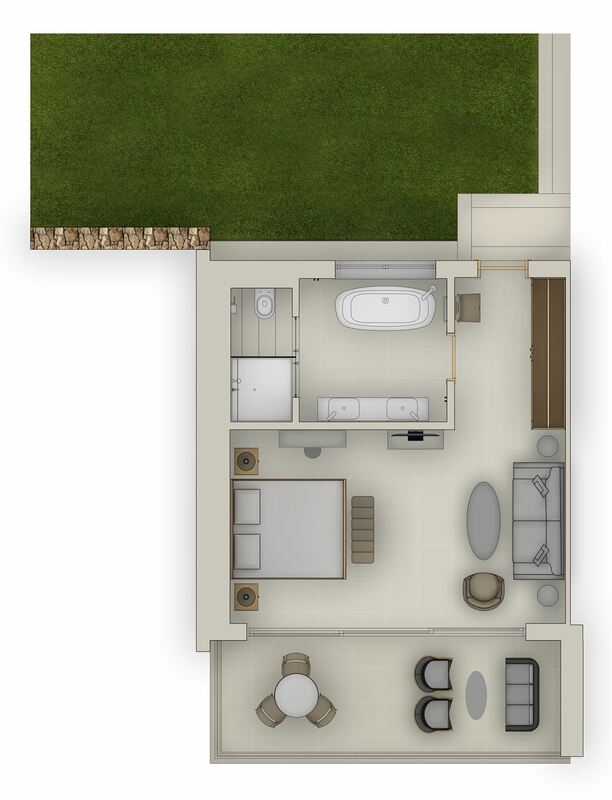 ), Two Bedroom Bungalow Suite Private Garden SV (~100 sq.m. 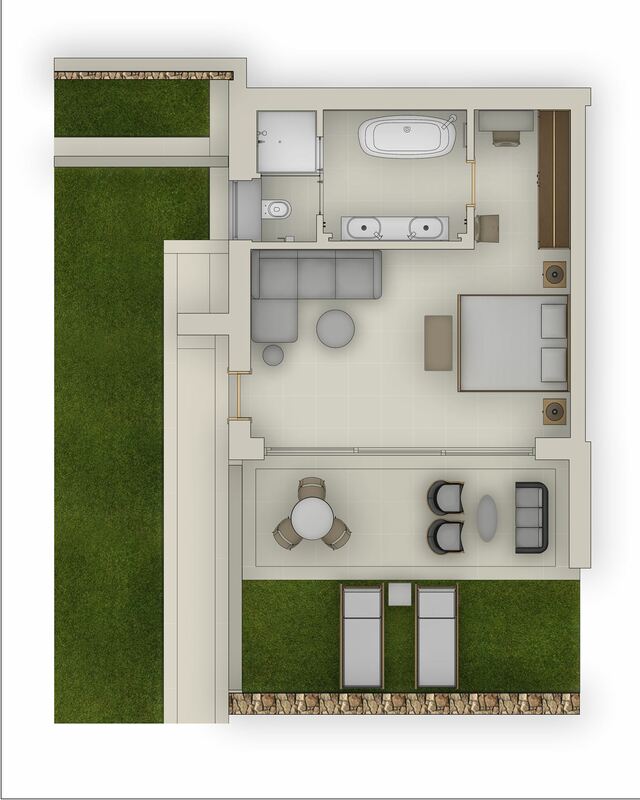 ), Two Bedroom Bungalow Suite PP Front SV (~120 sq.m. ), Two Bedroom Bungalow Suite PP BF (~120 sq.m.). 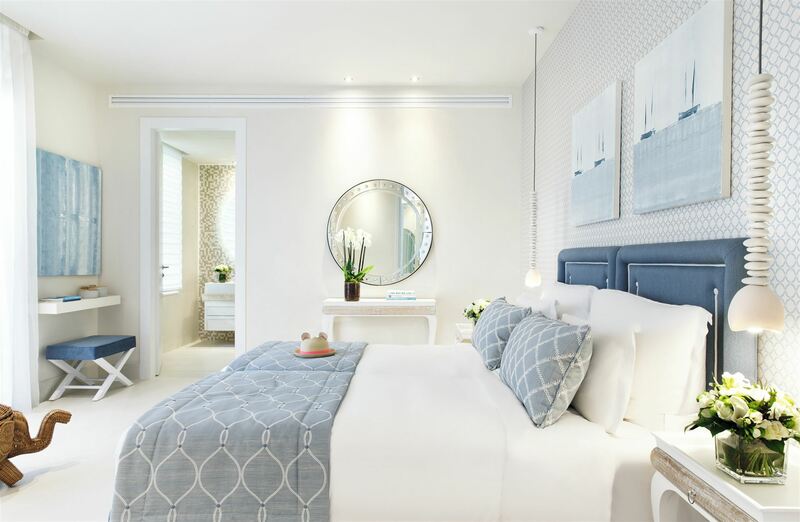 In numbers: balcony / terrace, bathroom (bath and shower), makeup mirror, hairdryer, luxurious terry bathrobes, slippers, scales, exclusive toiletries from Anne Semonin, one double bed or two twin beds with an ultra-comfortable mattress. 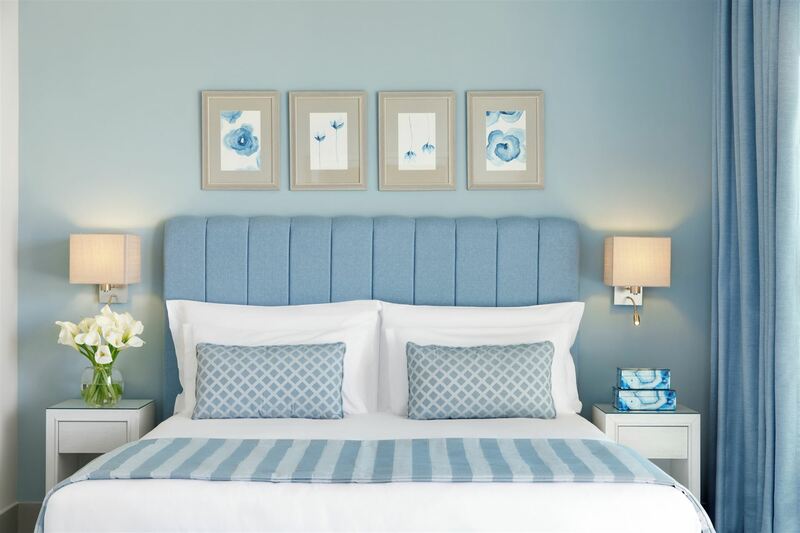 Bed, exclusive bed linen, duvets and extra pillows, plasma TV, satellite TV (Russian and music channels), CD / DVD player, free Wi-Fi Internet, telephone, individual air conditioning, electronic safe (free. ) mini-bar, everything you need for p Tea and coffee making facilities, Nespresso coffee machine. The hotel offers evening cleaning of all rooms and bedding. 24-hour room service. On the day of arrival, guests are presented with a bottle of Greek wine, a bottle of mineral water and fruit. Double Ground Floor Sea View Double room with modern design located on the first floor of two-story bungalows. 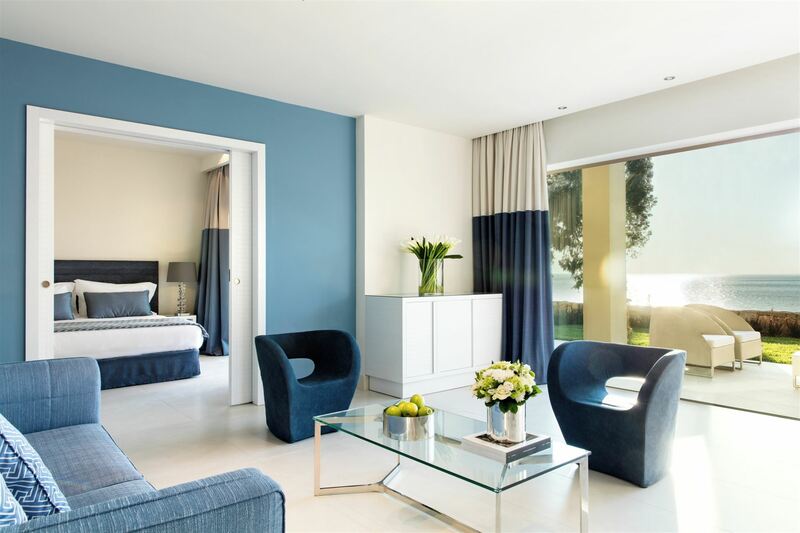 Floor-to-ceiling windows with stunning views of the beautiful gardens or the Aegean Sea and the top of Mount Olympus. Terrace with furniture and two lounge chairs. Double bed or 2 single beds, sofa bed. Double Garden View Double room with a modern design located on the 1st floor in a bungalow. Floor-to-ceiling windows with stunning garden views. Terrace with furniture and two lounge chairs. Double bed or 2 single beds, sofa bed. Deluxe Double Private Garden / GV Double room with a modern design is located on the first floor of a two-story bungalow with a small garden. 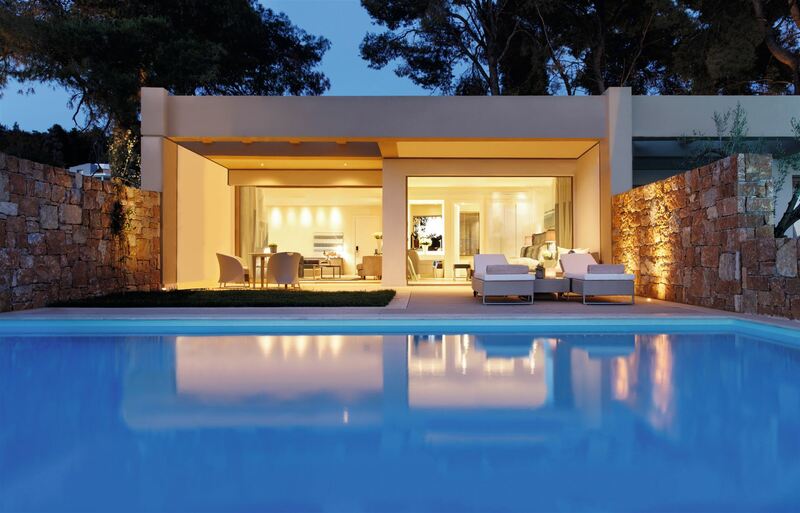 The windows are high from floor to ceiling, a veranda with furniture and two lounge chairs in the garden. Double bed or 2 single beds, sofa bed. Deluxe Double Private Garden / SV Double room with modern design located on the first floor of a two-story bungalow with a small garden. 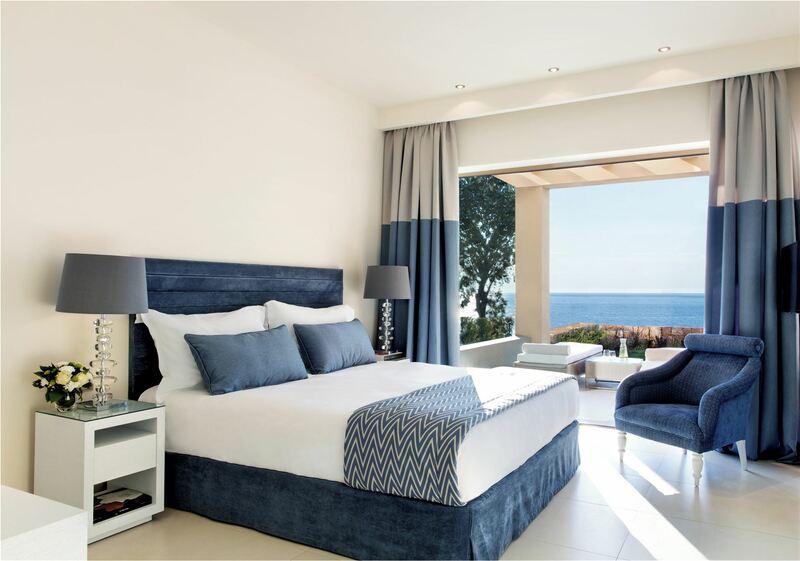 Floor-to-ceiling windows with stunning views of the Aegean Sea and the top of Mount Olympus Veranda with furniture and two sun loungers in the garden. Double bed or 2 single beds, a sofa bed. Family Suite Grand Balcony / SV Comfortable room with modern design consists of two junior suites with a large balcony, connected by a door. Located on the second floor of a bungalow. 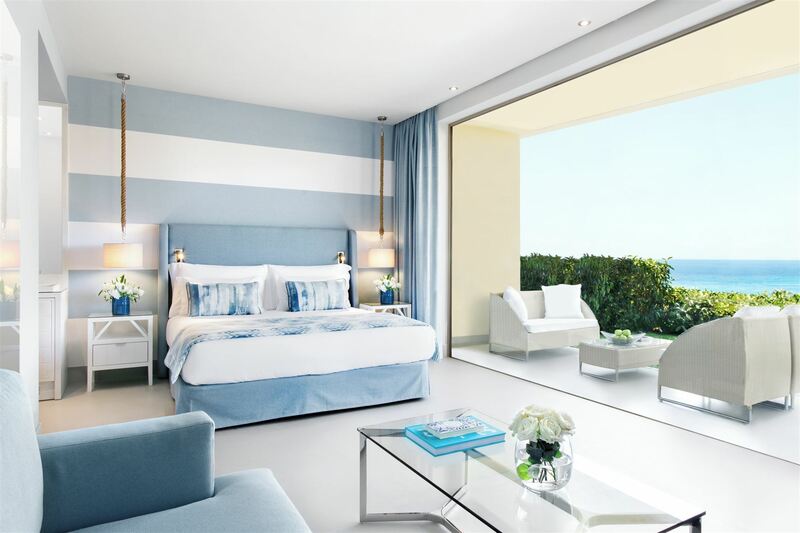 Floor-to-ceiling windows with stunning views of the Aegean Sea and the top of Mount Olympus. Balcony with table and two chairs from rattan. Junior Suite Grand Balcony / SV Located on the second floor of a two-story bungalow. 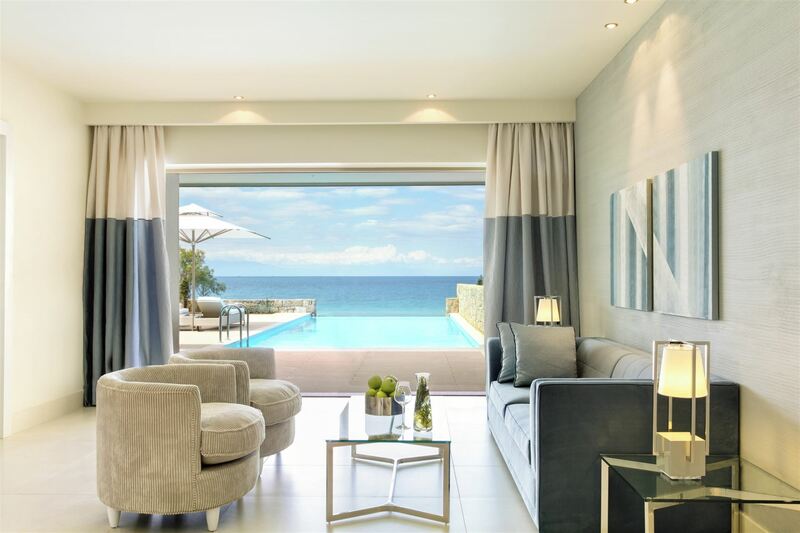 Floor-to-ceiling windows with stunning views of the Aegean Sea and the top of Mount Olympus. Balcony with table and two chairs from rattan. Double bed or 2 single beds, sofa bed. 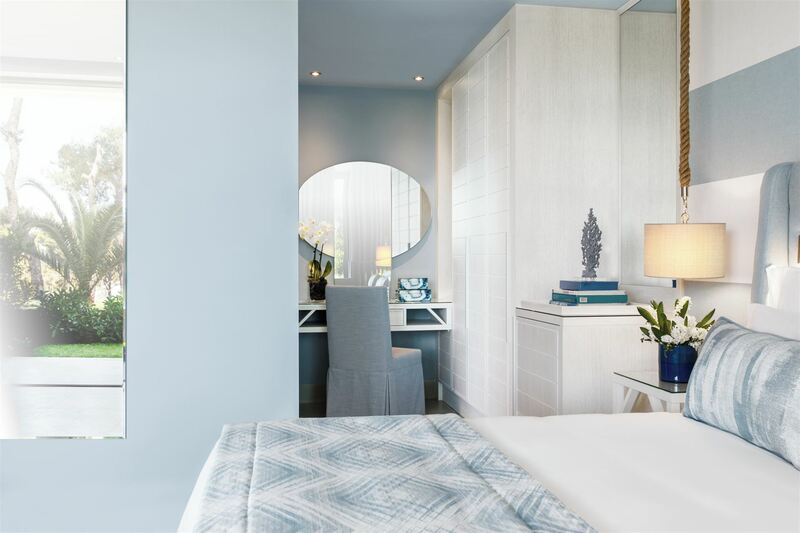 Junior Suite SV Private Garden A comfortable room with a modern design located in single-storey buildings with a private garden. 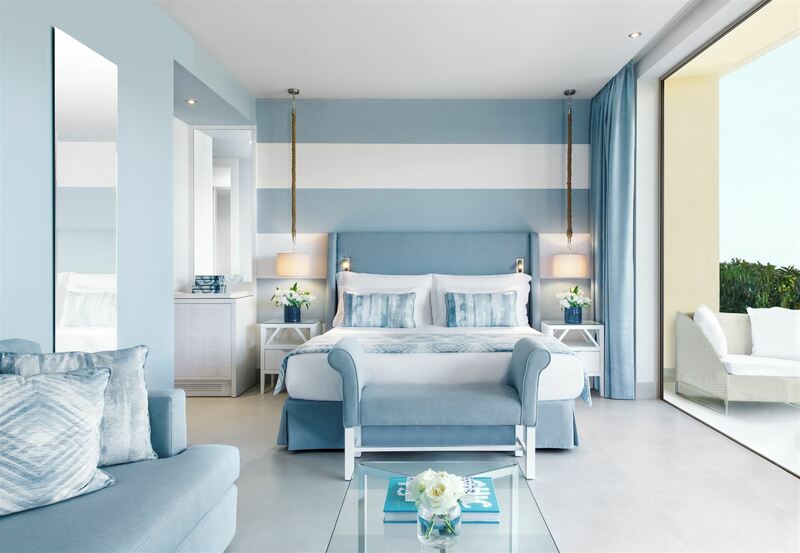 Floor-to-ceiling windows with stunning views of the Aegean Sea and the top of Mount Olympus. Veranda with table and two rattan chairs and two lounge chairs in the garden. Double bed or 2 single beds, a sofa bed. One-Bedroom Bungalow Suite Private Garden Pool Front Spacious suite consists of a bedroom and living room, has a private garden, overlooking the pool. Double bed or 2 single beds, sofa / folding. One-Bedroom Bungalow Suite Private Pool SV Spacious suite consists of a bedroom and living room, has a private pool, sea view. Double bed or 2 single beds, sofa / folding bed. Two-Bedroom Bungalow Suite Private Garden SV Spacious suite consists of 2 separate bedrooms, living room, 2 bathrooms, private garden, sea view. Double bed and 2 single beds, sofa / folding bed. Two-Bedroom Bungalow Suite Private Pool Front Sea View Spacious suite consists of 2 separate bedrooms, living room, 2 bathrooms, private pool. 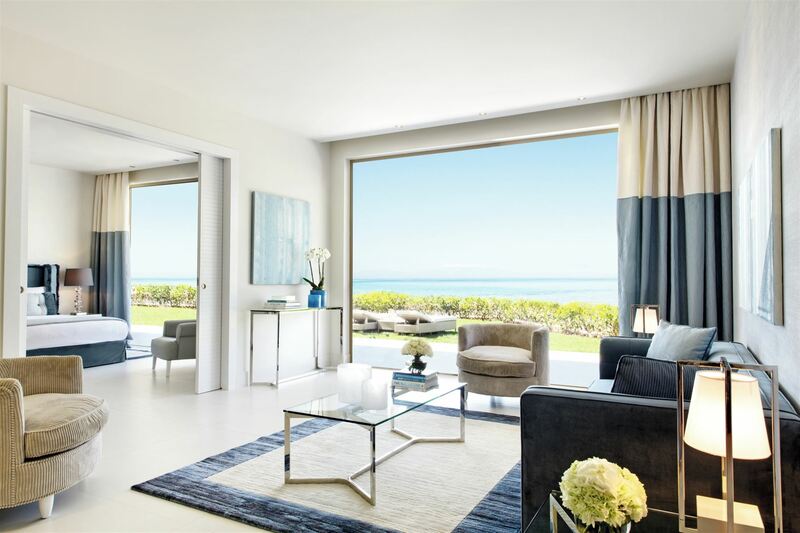 Located on the first line and has a frontal view of the sea. Double bed and 2 single beds, di-van / roll-away bed. Two-Bedroom Bungalow Suite Private Pool Beach Front New spacious suite consists of 2 separate bedrooms, living room, 2 bathrooms, private pool. Located on the first line in close proximity to the beach. Double bed and 2 single beds, di-van / roll-away bed. 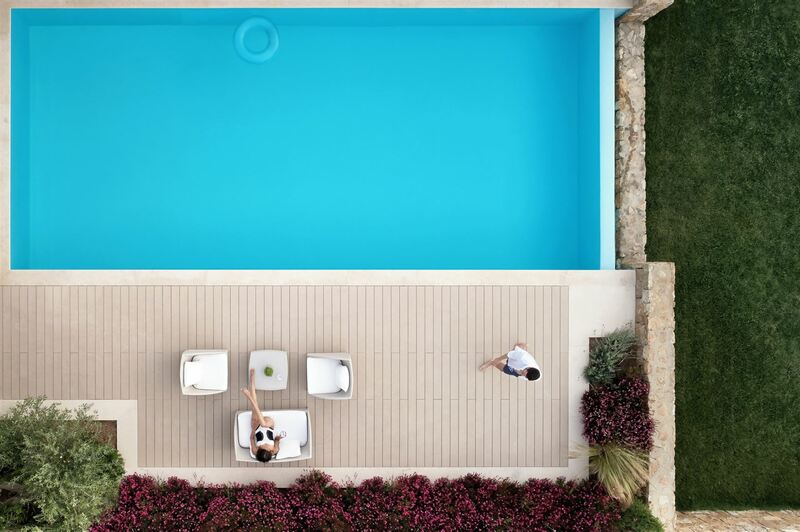 The Sani resort is famous with the highest standards of guests service. The service of the butler is a new service thanks to which every moment your rest will be really unforgettable. The hotels staff had special training and possess certificates of the British Butler Institute. During the stay in hotel and beyond its limits you will enjoy their full attention. 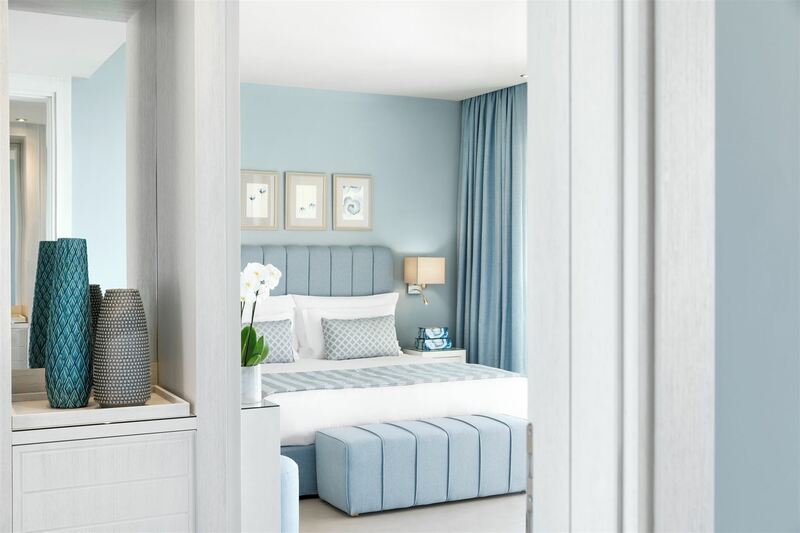 The butler services are provided free of charge to all guests living in suites with two and three bedrooms in Sani Beach hotel. Before arrival - your butler will take care of all your wishes, including preparation of special and dietary dishes, were executed. If during rest you celebrate an event, important for you, butler will help to reserve restaurant and also will track all necessary preparations. During your stay - when arrival you will be met by your personal butler, who will arrange express check-in for you, ensure your baggage will be delivered to your room quickly, and will also help you arrange and collect your belongings. He will try to satisfy all your wishes, from table reservation at restaurants from evening cleaning of the room at any time convenient for you. Butler will be in your service throughout all your rest. In your departure time from hotel - butler will try to make your departure of hotel quieter and comfortable.